YUSUFALI: And that Allah may help thee with powerful help. SHAKIR: And that Allah might help you with a mighty help. YUSUFALI: And that He may punish the Hypocrites, men and women, and the Polytheists men and women, who imagine an evil opinion of Allah. On them is a round of Evil: the Wrath of Allah is on them: He has cursed them and got Hell ready for them: and evil is it for a destination. PICKTHAL: And may punish the hypocritical men and the hypocritical women, and the idolatrous men and the idolatrous women, who think an evil thought concerning Allah. For them is the evil turn of fortune, and Allah is wroth against them and hath cursed them, and hath made ready for them hell, a hapless journey's end. SHAKIR: And (that) He may punish the hypocritical men and the hypocritical women, and the polytheistic men and the polytheistic women, the entertainers of evil thoughts about Allah. On them is the evil turn, and Allah is wroth with them and has cursed them and prepared hell for them, and evil is the resort. YUSUFALI: For to Allah belong the Forces of the heavens and the earth; and Allah is Exalted in Power, Full of Wisdom. PICKTHAL: Allah's are the hosts of the heavens and the earth, and Allah is ever Mighty, Wise. SHAKIR: And Allah's are the hosts of the heavens and the earth; and Allah is Mighty, Wise. YUSUFALI: In order that ye (O men) may believe in Allah and His Messenger, that ye may assist and honour Him, and celebrate His praise morning and evening. PICKTHAL: That ye (mankind) may believe in Allah and His messenger, and may honour Him, and may revere Him, and may glorify Him at early dawn and at the close of day. SHAKIR: That you may believe in Allah and His Messenger and may aid him and revere him; and (that) you may declare His glory, morning and evening. YUSUFALI: Verily those who plight their fealty to thee do no less than plight their fealty to Allah: the Hand of Allah is over their hands: then any one who violates his oath, does so to the harm of his own soul, and any one who fulfils what he has covenanted with Allah,- Allah will soon grant him a great Reward. PICKTHAL: Lo! those who swear allegiance unto thee (Muhammad), swear allegiance only unto Allah. The Hand of Allah is above their hands. So whosoever breaketh his oath, breaketh it only to his soul's hurt; while whosoever keepeth his covenant with Allah, on him will He bestow immense reward. SHAKIR: Surely those who swear allegiance to you do but swear allegiance to Allah; the hand of Allah is above their hands. Therefore whoever breaks (his faith), he breaks it only to the injury of his own soul, and whoever fulfills what he has covenanted with Allah, He will grant him a mighty reward. YUSUFALI: The desert Arabs who lagged behind will say to thee: "We were engaged in (looking after) our flocks and herds, and our families: do thou then ask forgiveness for us." They say with their tongues what is not in their hearts. Say: "Who then has any power at all (to intervene) on your behalf with Allah, if His Will is to give you some loss or to give you some profit? But Allah is well acquainted with all that ye do. PICKTHAL: Those of the wandering Arabs who were left behind will tell thee: Our possessions and our households occupied us, so ask forgiveness for us! They speak with their tongues that which is not in their hearts. Say: Who can avail you aught against Allah, if He intend you hurt or intend you profit? Nay, but Allah is ever Aware of what ye do. YUSUFALI: "Nay, ye thought that the Messenger and the Believers would never return to their families; this seemed pleasing in your hearts, and ye conceived an evil thought, for ye are a people lost (in wickedness)." PICKTHAL: Nay, but ye deemed that the messenger and the believers would never return to their own folk, and that was made fairseeming in your hearts, and ye did think an evil thought, and ye were worthless folk. SHAKIR: Nay! you rather thought that the Messenger and the believers would not return to their families ever, and that was made fairseeming to your hearts and you thought an evil thought and you were a people doomed to perish. YUSUFALI: And if any believe not in Allah and His Messenger, We have prepared, for those who reject Allah, a Blazing Fire! PICKTHAL: And so for him who believeth not in Allah and His messenger - Lo! We have prepared a flame for disbelievers. SHAKIR: And whoever does not believe in Allah and His Messenger, then surely We have prepared burning fire for the unbelievers. YUSUFALI: To Allah belongs the dominion of the heavens and the earth: He forgives whom He wills, and He punishes whom He wills: but Allah is Oft-Forgiving, Most Merciful. PICKTHAL: And Allah's is the Sovereignty of the heavens and the earth. He forgiveth whom He will, and punisheth whom He will. And Allah is ever Forgiving, Merciful. SHAKIR: And Allah's is the kingdom. of the heavens and the earth; He forgives whom He pleases and punishes whom He pleases, and Allah is Forgiving, Merciful. YUSUFALI: Those who lagged behind (will say), when ye (are free to) march and take booty (in war): "Permit us to follow you." They wish to change Allah's decree: Say: "Not thus will ye follow us: Allah has already declared (this) beforehand": then they will say, "But ye are jealous of us." Nay, but little do they understand (such things). PICKTHAL: Those who were left behind will say, when ye set forth to capture booty: Let us go with you. They fain would change the verdict of Allah. Say (unto them, O Muhammad): Ye shall not go with us. Thus hath Allah said beforehand. Then they will say: Ye are envious of us. Nay, but they understand not, save a little. SHAKIR: Those who are left behind will say when you set forth for the gaining of acquisitions: Allow us (that) we may follow you. They desire to change the world of Allah. Say: By no means shall you follow us; thus did Allah say before. But they will say: Nay! you are jealous of us. Nay! they do not understand but a little. YUSUFALI: Say to the desert Arabs who lagged behind: "Ye shall be summoned (to fight) against a people given to vehement war: then shall ye fight, or they shall submit. Then if ye show obedience, Allah will grant you a goodly reward, but if ye turn back as ye did before, He will punish you with a grievous Penalty." PICKTHAL: Say unto those of the wandering Arabs who were left behind: Ye will be called against a folk of mighty prowess, to fight them until they surrender; and if ye obey, Allah will give you a fair reward; but if ye turn away as ye did turn away before, He will punish you with a painful doom. SHAKIR: Say to those of the dwellers of the desert who were left behind: You shall soon be invited (to fight) against a people possessing mighty prowess; you will fight against them until they submit; then if you obey, Allah will grant you a good reward; and if you turn back as you turned back before, He will punish you with a painful punishment. YUSUFALI: No blame is there on the blind, nor is there blame on the lame, nor on one ill (if he joins not the war): But he that obeys Allah and his Messenger,- (Allah) will admit him to Gardens beneath which rivers flow; and he who turns back, (Allah) will punish him with a grievous Penalty. PICKTHAL: There is no blame for the blind, nor is there blame for the lame, nor is there blame for the sick (that they go not forth to war). And whoso obeyeth Allah and His messenger, He will make him enter Gardens underneath which rivers flow; and whoso turneth back, him will He punish with a painful doom. SHAKIR: There is no harm in the blind, nor is there any harm in the lame, nor is there any harm in the sick (if they do not go forth); and whoever obeys Allah and His Messenger, He will cause him to enter gardens beneath which rivers flow, and whoever turns back, He will punish him with a painful punishment. YUSUFALI: And many gains will they acquire (besides): and Allah is Exalted in Power, Full of Wisdom. PICKTHAL: And much booty that they will capture. Allah is ever Mighty, Wise. SHAKIR: And many acquisitions which they will take; and Allah is Mighty, Wise. PICKTHAL: Allah promiseth you much booty that ye will capture, and hath given you this in advance, and hath withheld men's hands from you, that it may be a token for the believers, and that He may guide you on a right path. SHAKIR: Allah promised you many acquisitions which you will take, then He hastened on this one for you and held back the hands of men from you, and that it may be a sign for the believers and that He may guide you on a right path. YUSUFALI: And other gains (there are), which are not within your power, but which Allah has compassed: and Allah has power over all things. PICKTHAL: And other (gain), which ye have not been able to achieve, Allah will compass it, Allah is Able to do all things. SHAKIR: And others which you have not yet been able to achieve Allah has surely encompassed them, and Allah has power over all things. YUSUFALI: If the Unbelievers should fight you, they would certainly turn their backs; then would they find neither protector nor helper. PICKTHAL: And if those who disbelieve join battle with you they will take to flight, and afterward they will find no protecting friend nor helper. SHAKIR: And if those who disbelieve fight with you, they would certainly turn (their) backs, then they would not find any protector or a helper. YUSUFALI: (Such has been) the practice (approved) of Allah already in the past: no change wilt thou find in the practice (approved) of Allah. PICKTHAL: It is the law of Allah which hath taken course aforetime. Thou wilt not find for the law of Allah aught of power to change. 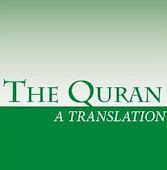 SHAKIR: Such has been the course of Allah that has indeed run before, and you shall not find a change in Allah's course. YUSUFALI: And it is He Who has restrained their hands from you and your hands from them in the midst of Makka, after that He gave you the victory over them. And Allah sees well all that ye do. PICKTHAL: And He it is Who hath withheld men's hands from you, and hath withheld your hands from them, in the valley of Mecca, after He had made you victors over them. Allah is Seer of what ye do. SHAKIR: And He it is Who held back their hands from you and your hands from them in the valley of Mecca after He had given you victory over them; and Allah is Seeing what you do. YUSUFALI: They are the ones who denied Revelation and hindered you from the Sacred Mosque and the sacrificial animals, detained from reaching their place of sacrifice. Had there not been believing men and believing women whom ye did not know that ye were trampling down and on whose account a crime would have accrued to you without (your) knowledge, (Allah would have allowed you to force your way, but He held back your hands) that He may admit to His Mercy whom He will. If they had been apart, We should certainly have punished the Unbelievers among them with a grievous Punishment. PICKTHAL: These it was who disbelieved and debarred you from the Inviolable Place of Worship, and debarred the offering from reaching its goal. And if it had not been for believing men and believing women, whom ye know not - lest ye should tread them under foot and thus incur guilt for them unknowingly; that Allah might bring into His mercy whom He will - If (the believers and the disbelievers) had been clearly separated We verily had punished those of them who disbelieved with painful punishment. SHAKIR: It is they who disbelieved and turned you away from the Sacred Mosque and (turned off) the offering withheld from arriving at its destined place; and were it not for the believing men and the believing women, whom, not having known, you might have trodden down, and thus something hateful might have afflicted you on their account without knowledge-- so that Allah may cause to enter into His mercy whomsoever He pleases; had they been widely separated one from another, We would surely have punished those who disbelieved from among them with a painful punishment. YUSUFALI: While the Unbelievers got up in their hearts heat and cant - the heat and cant of ignorance,- Allah sent down His Tranquillity to his Messenger and to the Believers, and made them stick close to the command of self-restraint; and well were they entitled to it and worthy of it. And Allah has full knowledge of all things. PICKTHAL: When those who disbelieve had set up in their hearts zealotry, the zealotry of the Age of Ignorance, then Allah sent down His peace of reassurance upon His messenger and upon the believers and imposed on them the word of self-restraint, for they were worthy of it and meet for it. And Allah is Aware of all things. SHAKIR: When those who disbelieved harbored in their hearts (feelings of) disdain, the disdain of (the days of) ignorance, but Allah sent down His tranquillity on His Messenger and on the believers, and made them keep the word of guarding (against evil), and they were entitled to it and worthy of it; and Allah is Cognizant of all things. YUSUFALI: Truly did Allah fulfil the vision for His Messenger: ye shall enter the Sacred Mosque, if Allah wills, with minds secure, heads shaved, hair cut short, and without fear. For He knew what ye knew not, and He granted, besides this, a speedy victory. PICKTHAL: Allah hath fulfilled the vision for His messenger in very truth. Ye shall indeed enter the Inviolable Place of Worship, if Allah will, secure, (having your hair) shaven and cut, not fearing. But He knoweth that which ye know not, and hath given you a near victory beforehand. SHAKIR: Certainly Allah had shown to His Messenger the vision with truth: you shall most certainly enter the Sacred Mosque, if Allah pleases, in security, (some) having their heads shaved and (others) having their hair cut, you shall not fear, but He knows what you do not know, so He brought about a near victory before that. YUSUFALI: It is He Who has sent His Messenger with Guidance and the Religion of Truth, to proclaim it over all religion: and enough is Allah for a Witness. PICKTHAL: He it is Who hath sent His messenger with the guidance and the religion of truth, that He may cause it to prevail over all religion. And Allah sufficeth as a Witness. SHAKIR: He it is Who sent His Messenger with the guidance and the true religion that He may make it prevail over all the religions; and Allah is enough for a witness. PICKTHAL: Muhammad is the messenger of Allah. And those with him are hard against the disbelievers and merciful among themselves. Thou (O Muhammad) seest them bowing and falling prostrate (in worship), seeking bounty from Allah and (His) acceptance. The mark of them is on their foreheads from the traces of prostration. Such is their likeness in the Torah and their likeness in the Gospel - like as sown corn that sendeth forth its shoot and strengtheneth it and riseth firm upon its stalk, delighting the sowers - that He may enrage the disbelievers with (the sight of) them. Allah hath promised, unto such of them as believe and do good works, forgiveness and immense reward.